This is just a lot of personal stuff that is sure to be of interest to researchers around the world. Check out the "Music," Sports Cars" and "Magazine Articles." 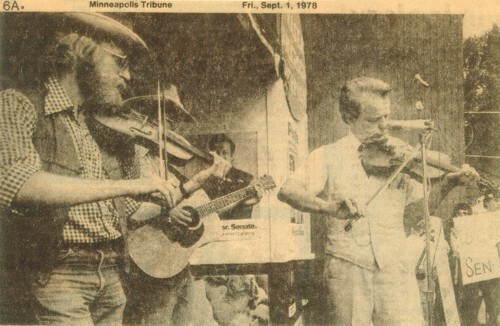 That's me (left) fiddling with Sen. Robert Bird (D-WV), 1978.